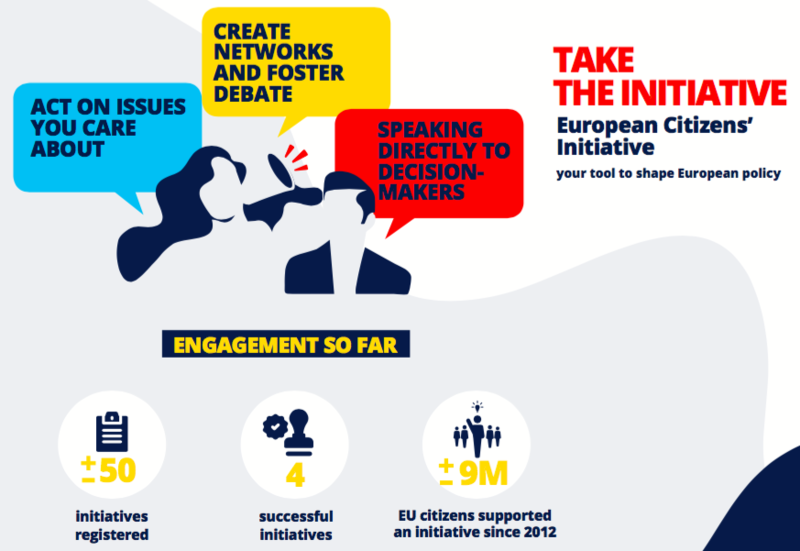 What makes European Citizens’ Initiative successful? The European Citizens' Initiative (ECI) is a European Union mechanism aimed at increasing direct democracy by enabling ‘EU citizens to participate directly in the development of EU policies’, introduced with the Treaty of Lisbon in 2007 (Article 11, Section 4). Over 9 million of the EU citizens have supported the initiative since its launch in 2012, and there have been launched 53 initiatives of which four have overcome the threshold of 1 million signatures. On the 5th October 2010, ECI organised a morning workshop for the representatives of civic initiatives to partake in the discussion about the ECI’s opportunities and support for the civic sector. The workshop started with a quiz about ECI that was followed by a panel discussion on Pan-European participatory democracy, where Ekaterina Petrikevich from D21 presented Janecek method as a successful case of employing smart technologies to make modern methods of decision-making more participative. The workshop addressed the issue of the democratic deficit as a social problem that the European Citizen’s initiative can tackle by providing the citizens with a tool to counter the trend of backsliding by emphasising the three-step approach of ‘Learning, connecting, and discussing’. Ondrej Timco from the Institute for Democracy 21 moderated the breakout session on supporting civic initiatives with representatives of Asociace veřejně prospěšných organizací, Spolek dcery 50. let, and Šalamoun. The workshop concentrated on the issue of facilitating communication and collaboration of civic initiatives within the Czech Republic and Post-Communist space.